Although Costa Rica is well-known for its vibrant creatures of the day, more than 60 percent of the wildlife found in its tropical rainforests is nocturnal. Night tours aim at acquainting travelers with these creatures and the special adaptations they use to survive in the tropics. A flashlight in hand and a bilingual guide by your side, you’ll be led along forest trails as you search for insects, reptiles, amphibians, mammals and more. In places like Tortuguero, you’ll carefully comb the beach for nesting sea turtles by the light of the moon, while in Arenal your search for nocturnal species may be accompanied by glimpses of lava pouring down the sides of the volcano. This tour takes you to the best views and the best show that the Central Valley has to offer. You'll visit Escazú, a San José suburb that has some of the area’s most interesting culture. If you loved tree climbing as a kid, then get ready to reach now heights on your next vacation. Explore the Costa Rican jungle after dark on this fun and unique tour that takes you 131 feet (40 m) up into the forest canopy. You'll feel like a pro again even if it's been years since you went on an outdoor adventure, because you'll have access to equipment to make the climb easier — something you definitely didn't have when you used to scale freehand! This guided hike through the rainforest is an educational experience. Manuel Antonio is a tropical rainforest with lots of rare species for you to discover. Your will be an eye in the sky with the Canopy walk once you reach the top of the mountain. On this 4-hour trek you’ll get to look for birds, anteaters, and monkeys. This night walk offers visitors the opportunity see many different nocturnal species that inhabit the small refuge of the Arenal Oasis. 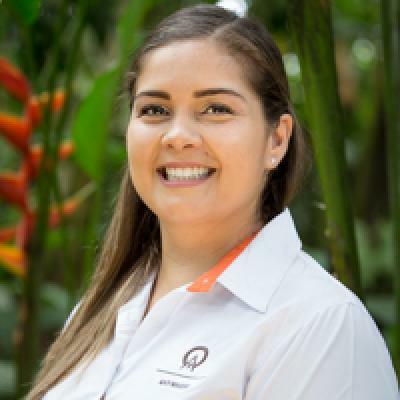 The bi-lingual local guide will explain the history of the Arenal Oasis conservation effort as well as the impact it has had on attracting more wildlife to the refuge. You haven’t really seen the rainforest until you’ve seen it at night. On this tour of the Mistico Hanging Bridges park you’ll get to walk through the intense nighttime landscape of a primary forest. The jungle is a noisy place at night. You can get closer to the source of all that nighttime music at a wildlife refuge called Si Como No. Take the nighttime tour of the amphibian gardens to see reptiles, toads, insects, and tree frogs in their nocturnal habitat. Discover the creatures of the night on a night walk through a private reserve named Ecocentro Danaus, just minutes from La Fortuna. This wonderful reforestation project has attracted hundreds of species of wildlife and has become a great example of the regenerative power of the tropical forests. More than 60% of the wildlife found in tropical rainforest’s is nocturnal. Many of Costa Rica’s hidden treasures can only be found in the darkness and with the aid of an experienced guide visitors will explore the forest around the slopes of the Arenal Volcano in search of wildlife. The location of the tour inside the El Silencio nature reserve. The transition from day to night in the tropical rainforest is a powerful shift, and when most mammals become active. This Twilight Safari Float offers a unique perspective as guests will meander along the Penas Blancas river accompanied by bilingual naturalist guides that help to identify the sounds and sights of the nocturnal rainforest. Experience the jungle in a whole new light, without any! The Night Jungle Tour is a unique and exciting journey. If you feel you have seen everything the rainforest has to offer, this is the perfect trip to change your perspective. The Monteverde Conservation League (MCL) offers a daily night hike on its trail system at Bajo del Tigre, located in Monteverde. Hidden Valley is a small nature reserve in Monteverde, Costa Rica. Touring the reserve at night gives travelers the opportunity to spot an array of impressive nocturnal creatures. Step into the magical sanctuary of a rainforest at night. There is nothing like seeing nocturnal animals in their natural habitats. Get a 360 degree view of San Jose with the VIP City Bus Tour. This European style double decker bus allows you to see more of the city and historical buildings than a typical walking tour. Enjoy a spectacular night tour of Costa Rica’s engulfing jungle. You will be led by expert guides who are able to point out the tiniest animals in almost complete darkness. Take a nighttime tour of the Tirimbina Rainforest Center to see some of the rainforest’s most interesting species of nocturnal insects, frogs, and nocturnal mammals. There are approximately 113 species of bats in Costa Rica, which makes up about half of the species of mammals in the country. You’ll learn about the many species and classifications as you make your way through the Sarapiquí rainforest.